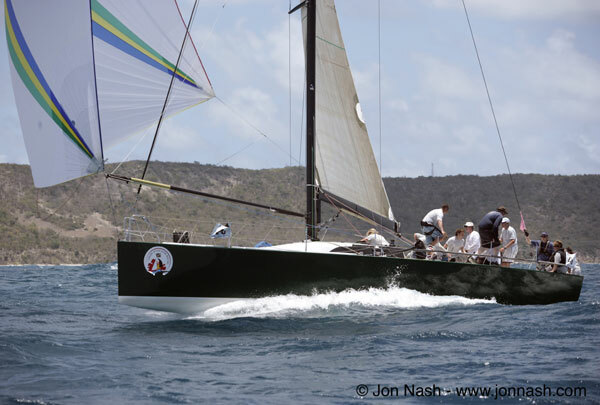 Rogers 46 Yeoman XXXII from David Aisher for Stanford Antigua Race week. Tactician for the week was Neil â€˜Jaffaâ€™ Harrison who runs The Metre Shed at Universal Marina and is Director of Jaffa Racing. Leading the trimming was Richard Burlingham, also an employee of Avia Willment. the races posting 5 race wins a 3rd and a 4th to win Racing Class Two by 6 points, and 5th overall in division behind 4 Class One yachts. boat that would win in Antigua. 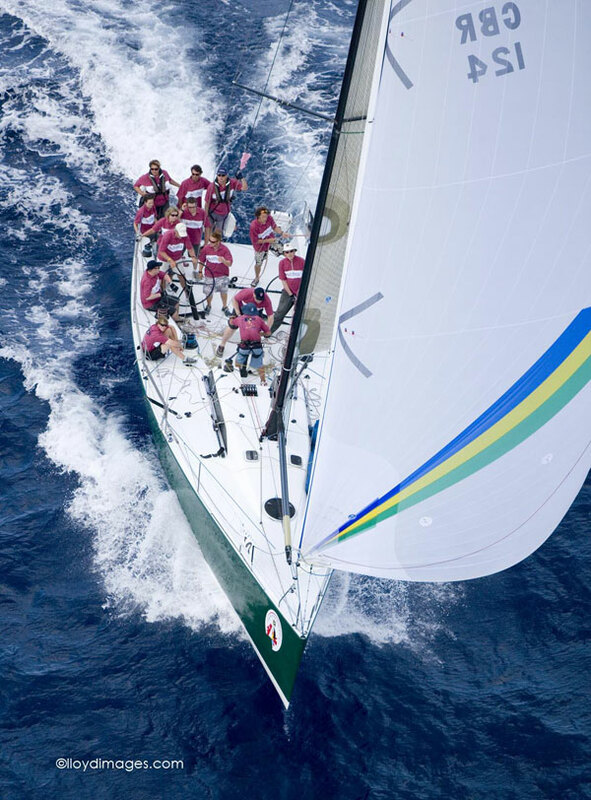 They selected the Rogers 46 as the boat they felt capable of winning class in Antigua, she was light, fast and would revel in the expected conditions in the Caribbean. They were not disappointed. In training they hit 20.68 knots in 20 knots of breeze, while racing they were often over 18. The crew for the week consisted of: Avia Willment (Skipper), David Gaskin (Float), Paul Smith (Main), Thomas Lindquist (Helm), Jaffa (Tactics and Nav), Richard Burlingham (Trim 1), Neil Fullerton (Trim 2), Douglas Watson (Grinder), Gordon Dundas (Mast), Ashley Perrin (Pit 1), Elizabeth Dobson (Pit 2), Natalie Gray (Mid bow) & Nick Bishop (Bow). â€œThe guys all worked really well as a team coming together quickly after only one days training. We spent a day prior to the charter getting everything in order, Richard did a great Job on setting the rig up, which is a major factor in the boats performance, if this is not perfect the boat just wont find that extra gear you need to pull away from the Fleetâ€, commented Jaffa on reflection of the weeks outstanding performance. A great week and a great result.